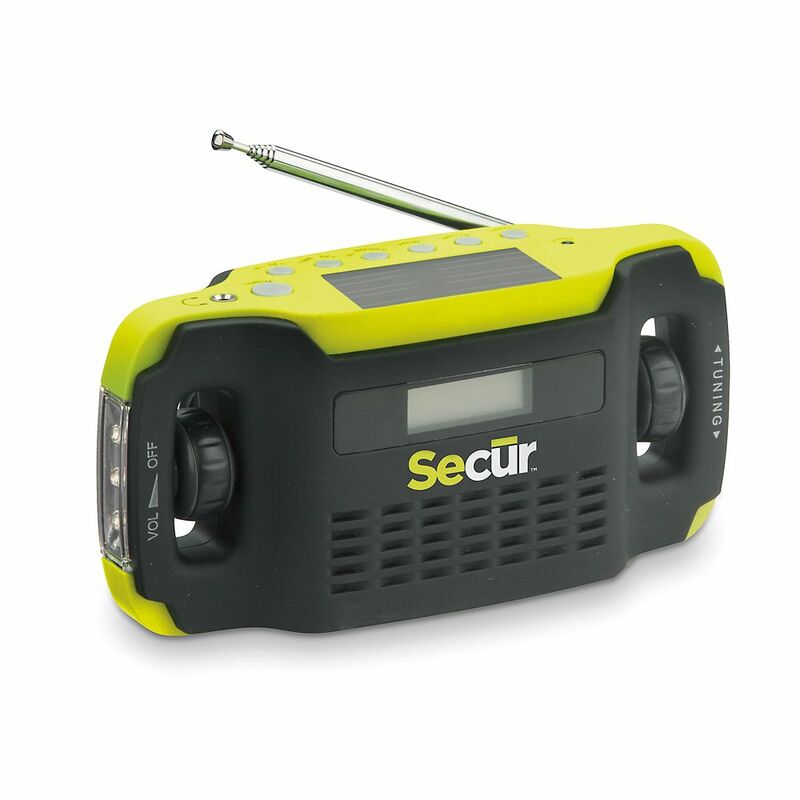 The Secur digital solar radio is a radio, alarm clock, phone charger, and flashlight all in one. Eliminate the need for batteries with this handy camping accessory. With a radio to keep you informed and a solar charger with built-in dynamo to keep your digital devices charged, this radio is an essential accessory for all campers and adventurers. Bosch radios deliver strong performance and lasting reliability. The PB120 12 V compact radio offers the lightest weight, most compact 12 V radio on the market. The 5 watt neodymium speakers provide great sound in the same durable package that the pros have come to expect from Bosch products. It even stores in an L-BOXX-1 conveniently. High strength shock-absorbing housing & handles for strength and durability. Digital Solar/Dynamo Radio The Secur digital solar radio is a radio, alarm clock, phone charger, and flashlight all in one. Eliminate the need for batteries with this handy camping accessory. With a radio to keep you informed and a solar charger with built-in dynamo to keep your digital devices charged, this radio is an essential accessory for all campers and adventurers. Digital Solar/Dynamo Radio is rated 4.3 out of 5 by 4. Rated 3 out of 5 by HomeDepotCustomer from The radio was smaller than expected. The sound was clear... The radio was smaller than expected. The sound was clear and the flashlight was small , however bright. Rated 5 out of 5 by bottomrail from EMERGANCY RADIO IN CASE OF EMERGANCY AND THE POWER GOES OUT THIS RADIO WILL SEE YOU THROUGH. IT NEVER NEEDS BATTERIES, CAN BE CHARGED BY THE SUN, WITH A CRANK ON THE BACK, OR BY THE WALL OUTLET. I WOULD RECOMMEND FOR ANYONE SERIOUS ABOUT EMERGANCY LIGHTING.